As the holidays warm our hearths, I want to wish all of my friends and fellow filmmakers many blessings! May your year end with joy and celebration for all that you have accomplished. 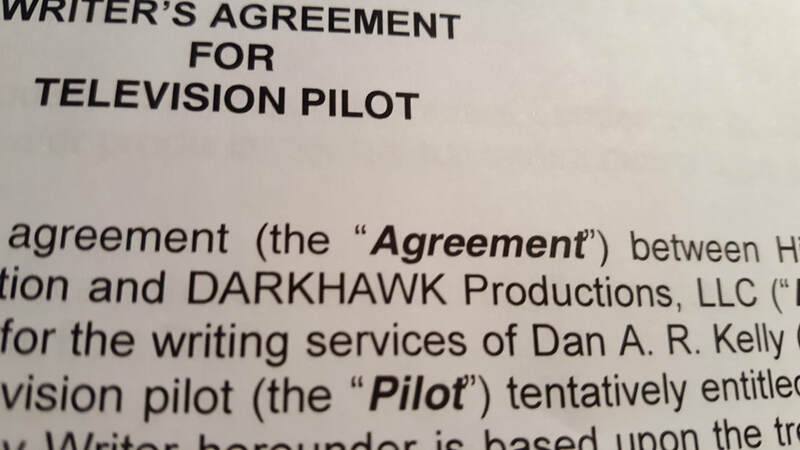 I am honored to be spending these final days in 2018 working on a very exciting project as a screenwriter. While the NDA (Non-Disclosure Agreement) restrains the information I can share right now, it will suffice to say that the story is something that I connected to instantly: a story that makes the world a better place by being told. I truly appreciate the producer's faith in my ability to give this story the voice it needs. 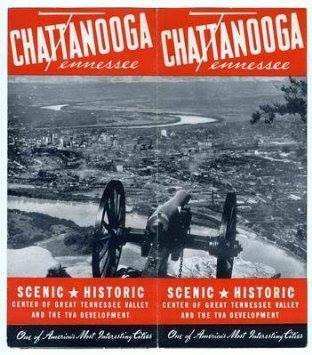 Coming in January is an event that I have been working closely with the Atlanta Film Festival to bring to fruition. 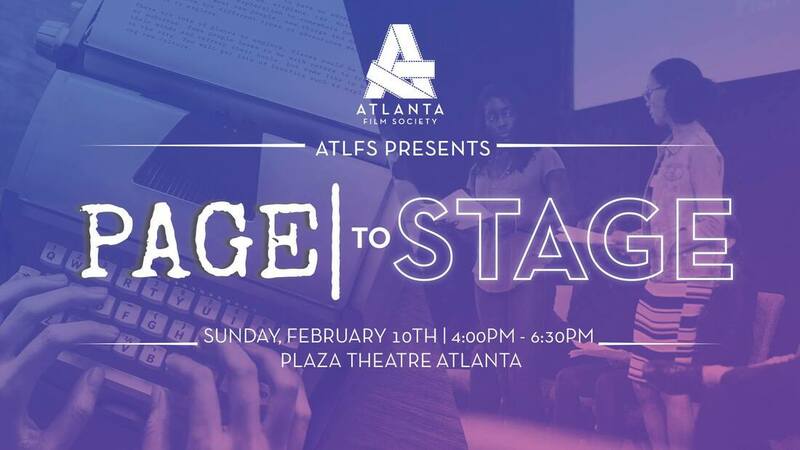 The Page to Stage (P2S) competition gives Georgia screenwriters the opportunity to have their scripts performed in a live staged reading with professional actors and director. I am amazed at the creative team we've put together, and I look forward to seeing you there! I enjoyed organizing the Black List Atlanta Happy Hour events this year. Many thanks to the wonderful guests that have joined us: writer/director Emily Dell of the CryptTV series Troubled Youth, Michael Lucker's Screenwriter School, PeachyScreen, Adam Jahnke of the podcast Tribulation, and Laconic Productions. 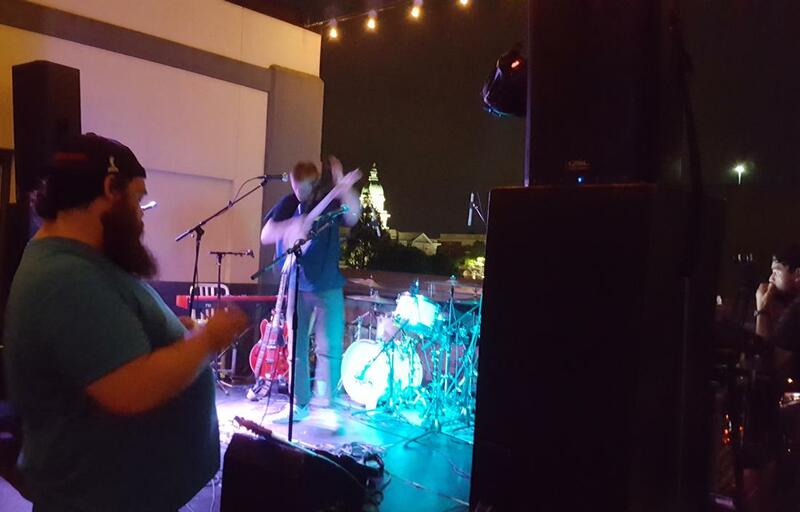 Laconic's Shaun Mathis and screenwriter Arianna Hester have stepped into leading the group for the next year, and I look forward to seeing them in 2019! 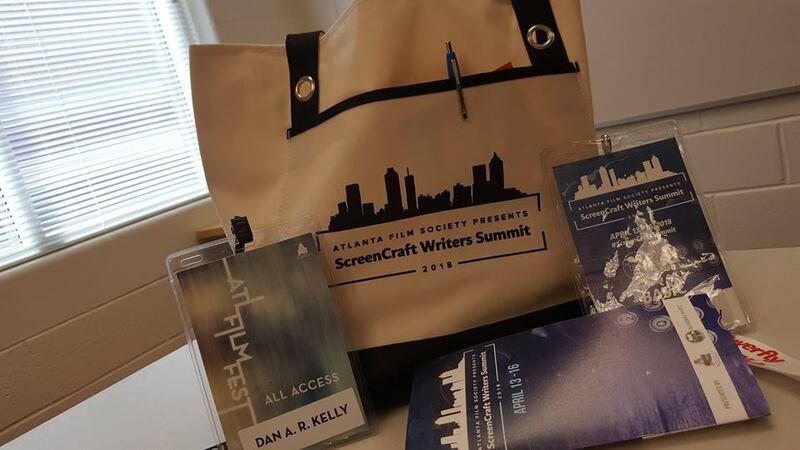 Atlanta Film Festival also hosted the Screencraft Writers Summit this year! 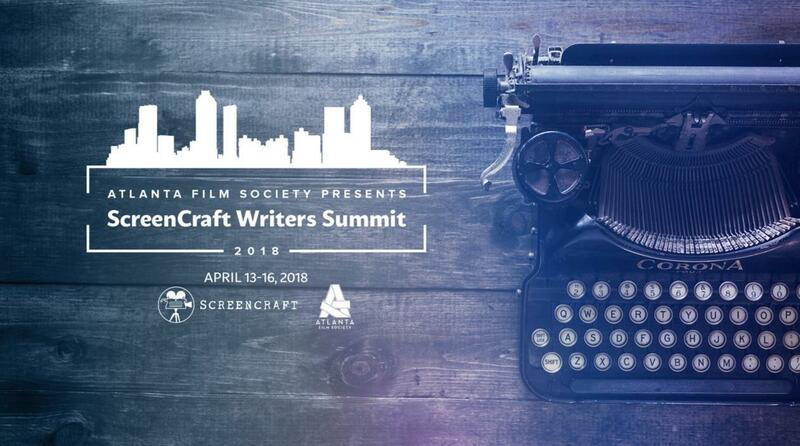 It was an amazing event, featuring Academy and Emmy-winning screenwriters talking frankly about craft and business, and I can't wait to attend again in 2019! My students at the Georgia Film Academy this year have enjoyed field trips to see guest speakers at the Atlanta Film Festival, Georgia Production Partnership, CineGear Expo, ARRI Camera Rental, Eagle Rock Studios, VER Camera Rental, MBS Equipment Rental, The Rag Place, Chapman-Leonard Dolly Rentals, Pinewood Studios, IATSE 479 and many other industry events! Many thanks to all of the professionals who have generously given their time! I wish you all the best film-making adventures in 2019! Keep those cameras rolling! Spring Festival Season in Bloom! The thaw has begun! As temperatures rise, the film festivals re-emerge with workshops, discussions panels, networking events and (of course) screenings. I have been honored to be invited to several festivals as a guest speaker. Additionally, I will be attending the Atlanta Film Festival April 12-22, often bringing my GFA students to the amazing Creative Conferences! Be sure to say hi! I will also be joining the Milledgeville Eatonton Film Festival April 24-29 as a Moderator for the Screenwriting Panel. I hope you can us there! 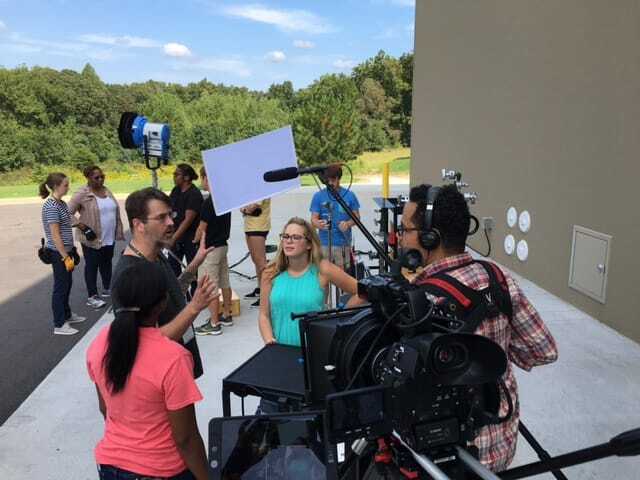 ﻿The Georgia Film Academy (GFA), which opened in 2016, has garnered national recognition from Variety Magazine, Forbes Magazine and others for its innovative program. 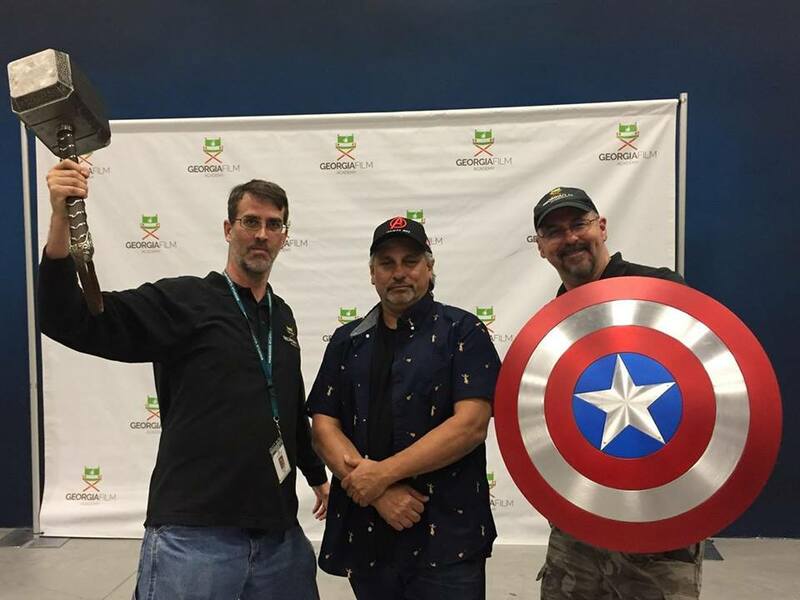 Focused on workforce development, with the support of Governor Nathan Deal, the GFA has placed over 450 students on internships with professional film and television productions like Marvel Films, The Walking Dead, MacGyver, Stranger Things and more! I have been honored to work closely with this program to prepare the filmmakers of tomorrow, and I look forward to seeing you on set! 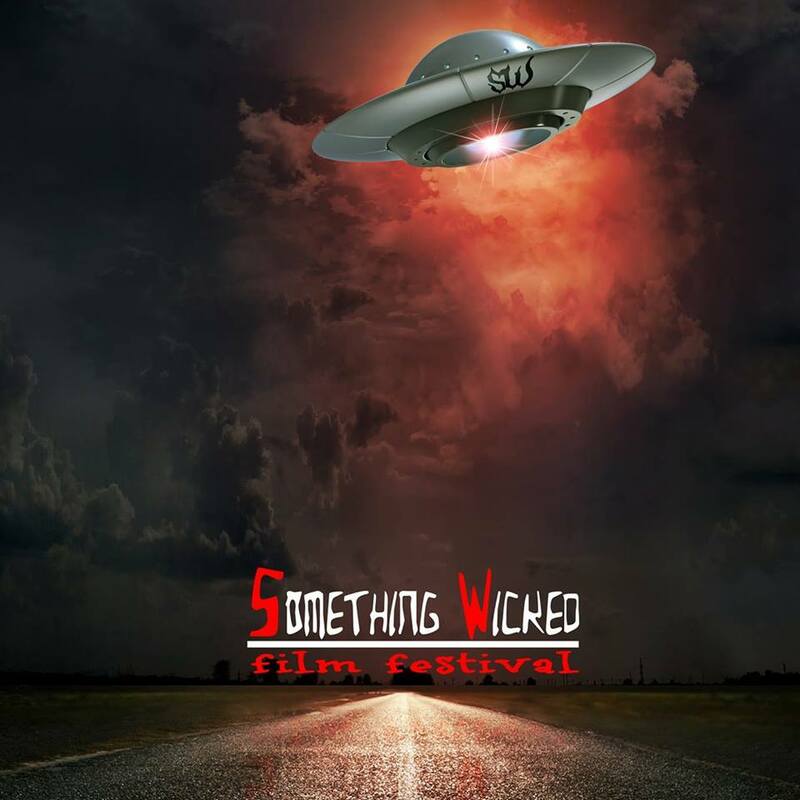 Something Wicked Film Festival This Weekend! We look forward to screening our short film BANKS OF THE VLTAVA at the Something Wicked Film Festival this weekend. We will be showing the film out of competition, as we discuss the process of making it. 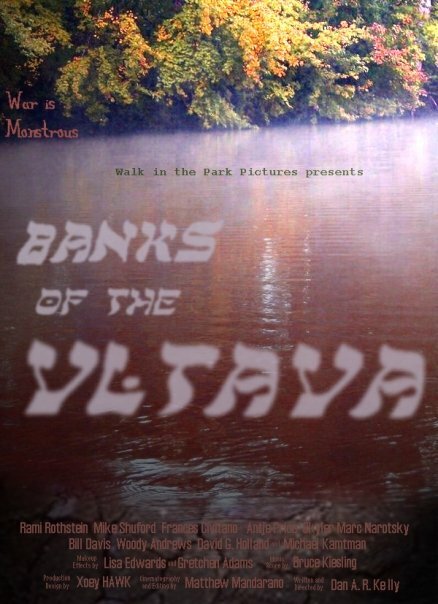 BANKS OF THE VLTAVA was originally released in 2010 and was invited to screen in over dozen festivals, playing as wide as Edinburgh, Scotland; Toronto, Canada; NYC and LA, winning a CLAW Award at the Terror Film Festival. In 1987, a documentary about the sensational music scene of Athens, GA, premiered, featuring R.E.M., the B-52's, Pylon, and many others. Now, in 2017, I am honored to be working with the producers to shoot ATHENS, GA... 30 YEARS ON. Please check out the GoFundMe below! We loved shooting footage of the band Happyness with Athens icons Club Gaga! If you haven't checked out their tunes yet, you should drop your burrito and go buy the album right now. I've got it set on repeat! Between shooting a documentary, starting summer semester for Georgia Film Academy at Pinewood Atlanta Studios, and the launch of our capital raise for the production of CHATTANOOGA at the Ritz Group's Creative + Investor Summit, the last two weeks has made for a busy time! The music documentary will continue filming in August, and I look forward to announcing our producing partners! I appreciate the interest from investors we met at the Ritz Group Creative + Investor Summit in the feature film CHATTANOOGA. I am excited to work toward bringing this important story to the screen, with a target production date of next summer. In the meantime, I am very thankful for the fantastic students and my fellow GFA faculty and staff, as we work toward making Atlanta the hottest filmmaking scene in the world! Many thanks to everyone who joined us at Get Connected this past Thursday for the screening of the Banks of the Vltava trailer! I appreciate the positive feedback, and I hope to share more good news about the continuing progress for the project soon! This Wednesday, May 1st, we look forward to hosting Brian Egeston and Adrian Dukes, writers for Tyler Perry Studios, at the May Black List Happy Hour networking event. 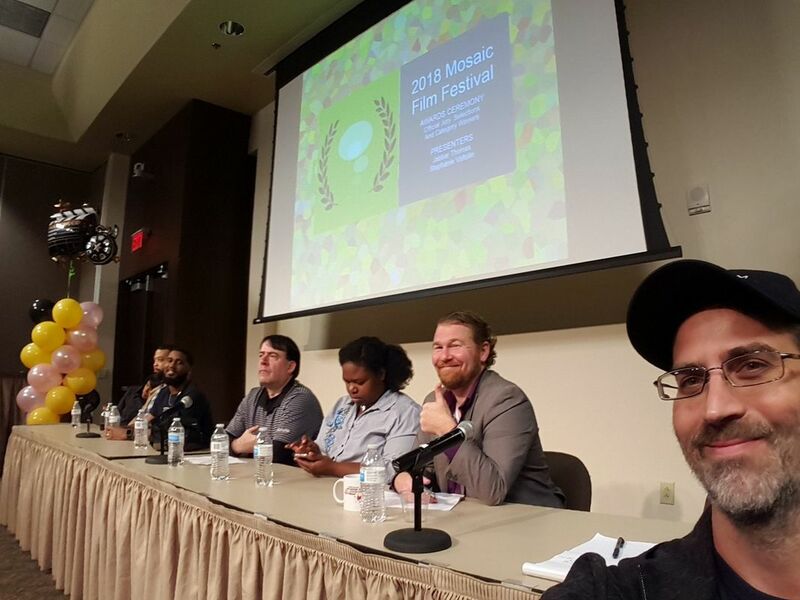 Other recent guests have included Craig Miller Productions and the director of the Atlanta Film Festival Screenwriting Competition. 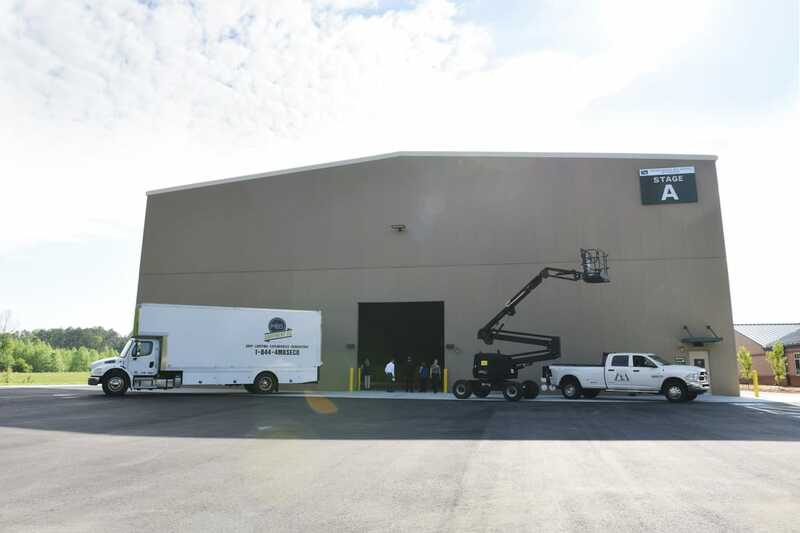 It's always a great chance to learn about the industry and meet new partners! I hope to see you around the ATL film-making scene! I began teaching with the Georgia Film Academy just this year, and already my first students are graduating! I am excited to announce that, as the program continues to grow, I will be moving from an adjunct to a full-time position as instructor. 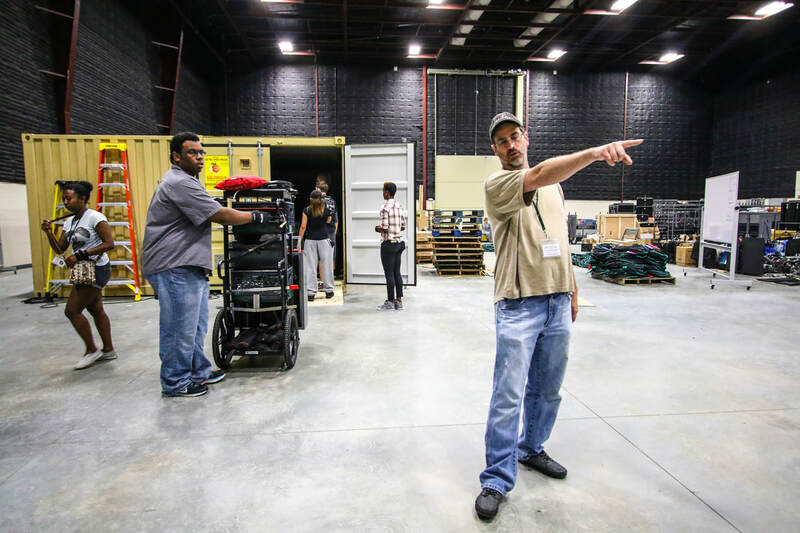 The GFA partners with major studio productions, network television series, independent films and local support facilities to provide internships to students, often leading to paid positions and union membership. 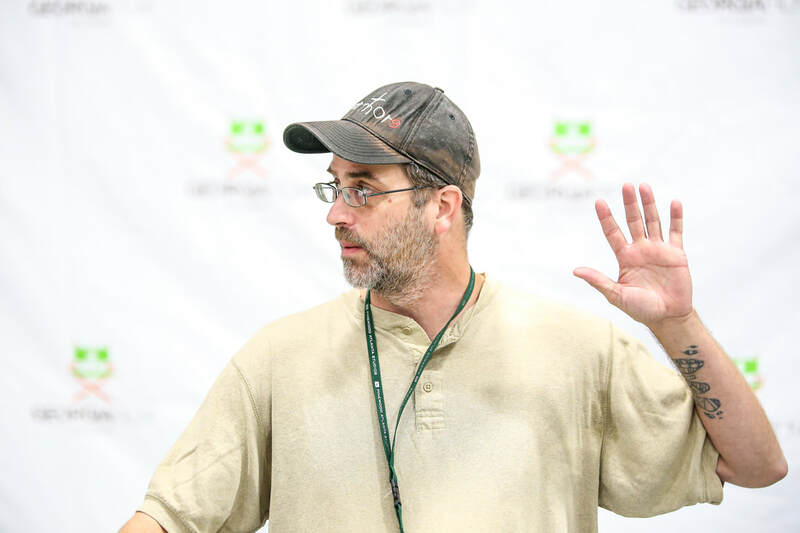 One of the highlights, for me, is that I do not simply teach, but because of GFA's unique relationship with an active industry, I continue to be involved in productions. Working with producers and department heads, I am engaged in the development of film projects and student learning opportunities. If you are planning on shooting in Atlanta, be sure to give me a call! I look forward to working with you! 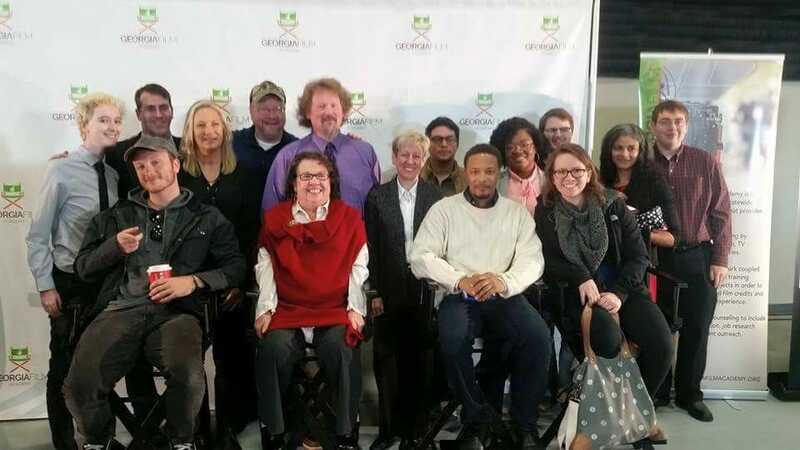 Since its inception in the Spring of 2016, the Georgia Film Academy has grown substantially, expanding to almost a dozen colleges and universities, including Kennesaw State, University of West Georgia, Columbus State, and multiple technical colleges! Whether students are seeking a bachelor's degree, an associate's degree, or just a one-year program certificate, they are graduating to work on major feature films and television programs like Spiderman: Homecoming, Black Panther, The Walking Dead, MacGuyver, 24:Legacy, Krystal, One United, Burden, Your Pretty Face Is Going to Hell, Rectify and many more! I am proud to be a part of this important institution, working not just in education, but working with our partnered productions. Together, we are making Georgia the future of filmmaking!